Did you watch the Westminster dog show last month and wonder what that was all about? Did you see the movie Best in Show and worry that it was real? Do you think that all dog show people must be rich or snobby or just plain kooky? To the right: Me (Kelley) and my dog, Jedi (Zente's Jedi Mind Trick). 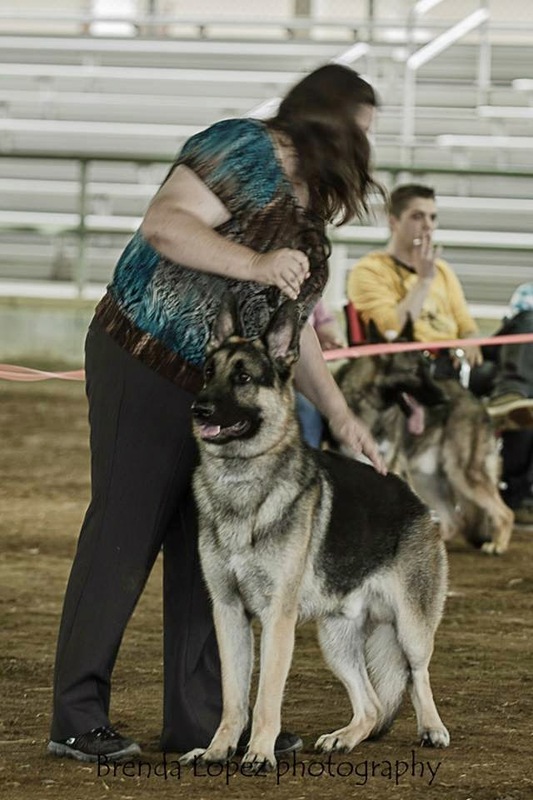 This picture was taken at the German Shepherd Dog Club of North Florida's specialty show in April of 2014. No, we didn't win, but we had good time. And we'll be doing it again next month.